Whether it’s history, culture, hiking, water sports or sunbathing that most captures your imagination, there is something on Waewaetorea Island for everybody. It is difficult to believe that a location as captivating as this simple, unspoilt little island could be quite so peaceful, and not heaving with other tourists all clamouring to enjoy their own day in Heaven at the same time. Such is the charm of New Zealand. There is every chance that you will indeed find yourselves standing on the island alone, enveloped in the scents and sounds and spellbinding views of nature. It is a truly magical feeling when you realise you are miles away from civilisation, and technology, smog, traffic, bills and work. The pressures of modern life will exist only on a different planet to the one you’re standing on – or at least that’s how you will feel – once you first sink your toes into the perfect, white sand of Waewaetorea Island’s beaches. The gentle birdsong and the rhythmic waves are the only sounds that penetrate the blissful silence of this slice of paradise. The best anchorage is on the south side of the island, in the sheltered haven of Stockyard Bay, and it is recommended you only do so when conditions are calm. The pleasant side effect, of course, is that your memories of Waewaetorea Island will always be cast in the sunny hue of great weather. While it would be tempting to never stray further than the island’s glorious beaches, we encourage you to don your hiking boots and explore the wilderness while you’re there. Aside from the breathtaking panoramic views, there are also many archaeological secrets lying tucked away in the landscape. Waewaetorea Island’s heritage is enriched with fascinating stories about its history, dating back to the earliest days of pre-European Māori civilisation. 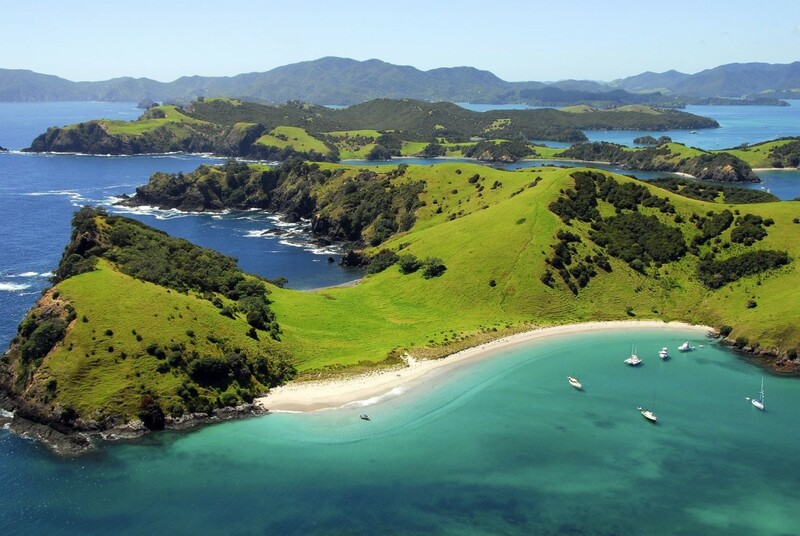 A number of iwi inhabited the island over the years, including Ngapuhi, Ngati Wai, Ngare Raumati and Ngatiawa. In the early 19th Century, war broke out between tribes, and the people of Ngare Raumati were driven off the island by the people of Ngapuhi, led by Rewa of Waimate after the defeat of their pa. In the late 18th Century Waewaetorea Island was visited by explorers James Cook and Marion du Fresne, who each recorded interesting accounts of their time there. In 1772, Marion du Fresne wrote of his decision to anchor two of his ships, Castries and Mascarin, after reassurance that the natives were friendly and drinking water was in abundant supply. He described the villages as “fortified, palisaded and surrounded by moats”. He later told of an encounter with the Māori when more than a hundred waka, who approached his ship and traded fish and kumara in return for an old nail. For the keen adventurers amongst you, eleven intriguing archaeological sites lie on Waewaetorea Island waiting to be explored. These include pa, pits, drains, terraces and taro plants, and are a must-see attraction for anybody with an interest in New Zealand’s beginnings. When you are ready to relax, take the chilly bin down to one of Waewaetorea’s world class beaches and unwind under the endless blue skies as you soak up the tranquillity. You will notice how inviting the crystal clear, turquoise waters appear, and you’d be right. This is a fantastic location for swimming and snorkelling, and for the serious water sport enthusiasts, the seaward side of the island offers an incredible scuba diving experience. The beauty of Waewaetorea Island hits you from a mile off. It can only be reached by boat, and as yours approaches Waewaetorea’s white sand beaches you could be forgiven for wondering if you have finally arrived in paradise.